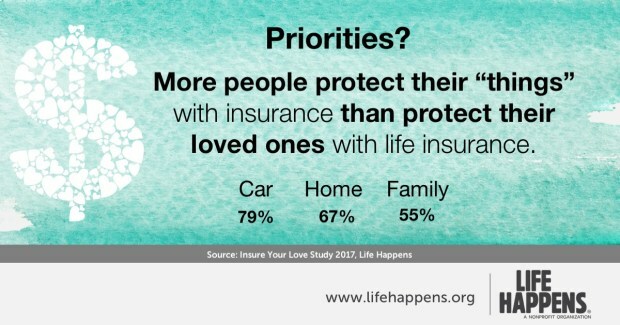 How high does getting life insurance rank on your list of priorities? If you’re in the majority of Americans who think life insurance is just TOO expensive, it’s probably not very high. But we think it should be. We know that life insurance is extremely important when it comes to protecting your family’s financial future. If something should happen to you, what would happen to your loved ones? Would your family be able to make it without you? Maybe you’ve considered that possibility, but haven’t taken the step to getting life insurance because of the perceived cost (high). We’re here to help break down the myth that the cost of life insurance is unaffordable. We want to help you understand the true cost of life insurance. 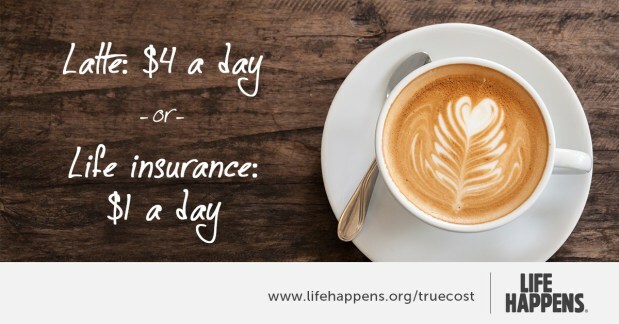 According to Life Happens, people who don’t have life insurance overestimate its true cost by more than 3 times. The truth is, securing your family’s financial future can be as inexpensive as $1 a day. Of course, this depends entirely on the type, amount and term length of coverage you get, as well as your age and health. But there is a life insurance policy to fit every budget. If you love someone or you owe someone, getting life insurance should be at the top of your list of priorities. In the event of your untimely death, life insurance can make the difference between your family losing everything, or your family being able to pay all of their bills without worrying and still send the kids to college. It’s easy to prioritize luxuries that seem like necessities over things like life insurance, which we don’t think we’ll ever need. Who doesn’t make room in their budget for things like a cell phone, internet, cable, dining out, new cars or vacations? But you don’t need to cancel that cruise or deactivate your iPhone in order to afford life insurance. There are small changes that you can make in your budget to make room for life insurance. The change could be making coffee at home instead of getting a gourmet latte at the local coffee shop. It could be ordering takeout just once a week instead of two. Maybe that movie you want to see in theaters can wait until it’s released on DVD. Your waistline will even thank you when you skip the buttery movie theater popcorn! These small changes can make a huge difference to your family if you should die unexpectedly. Get the coverage you need to protect your family today. Are you unsure where to start? Our highly knowledgeable Agents are here to help you find the perfect policy to fit your budget.